This jacket is made from butter-soft antique New Zealand lambskin leather, which is designed to age rapidly as you wear it for that well-traveled “vintage” look. Made in the USA. Would you risk your life for a jacket? You might if it was our authentic Indy-style Striated Lambskin Adventurer Jacket! The style is a classic, but the look is also very current for both men and women. The premium New Zealand striated lambskin leather is soft and supple, retains all the glorious graining and creases common to lambskin. It’s antique finish is designed to age rapidly for that well-traveled, vintage look. Slip this jacket on, and you’ll look great while dodging bad guys and recovering buried treasure. Also great for flying, biking, or a night on the town — bullwhip and fedora optional! The perfect jacket for all your adventures… even if you’re not a gun-toting, Nazi-battling, death-defying archaeologist! Made in the USA. Availability: Limited stock on hand. Make sure to get one of these beautiful jackets before they are all gone. 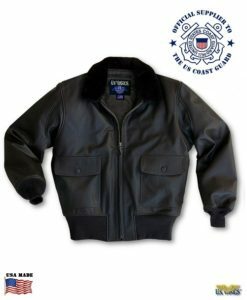 *Note: Our “antique” lambskin comes with a thin protective coating over the surface which may make the leather look new initially, but will “break-in” and age rapidly as you wear it, giving you that desirable 50 Mission look. Great jacket, outstanding quality for the price. Completely satisfied. My experience with US Wings was outstanding, and their Indy jackets are beautifully crafted. I ordered a Signature Series Adventurer jacket in Striated Lambskin in Size “L”. The jacket is a thing of beauty–the skin is super thick for lamb. Unfortunately, the jacket didn’t fit me very precisely. The size “L” fit, but at the same time, it didn’t. I can really only describe it like this: I felt like I was 16 and wearing my dad’s jacket (I’m 6′, 190lbs, athletic build, usually wear 42R suit coats and have a 43″ chest measurement w/ a t-shirt–squarely in the “L” category). I emailed US Wings about other options and followed up with a phone call. By email and phone, the US Wings reps were informative and pleasant…basically, a model of good customer service. The US Wings rep even recognized my voice from our conversation 10 days prior. After discussing options, I decided to try a size “M” in the Signature Series; I also ordered a size “L” in Legend the 30th Anniversary Featherweight Antique Lambskin to compare cuts. The size “M” Signature series fit me perfectly. Although it’s not 100% screen accurate (a feature I wasn’t really concerned about), it was the Last Crusade style jacket I always wanted and it felt great on. I tried on the Legend, and it too felt great but totally different (it is very lightweight though not too delicate–though I certainly wouldn’t wear it being dragged behind a truck). What to do with two awesome jackets that are very different? I modeled them for my wife…she liked the Legend better, due to it being more tailored and shorter. But I was leaning towards the Signature Series. Then she said, referring to the Legend jacket, “It looks more Indiana Jones.” That did it for me…I kept both. I think I “chose wisely.” Thanks to US Wings for their excellent customer service and fine products…I’m a customer for life. Fantastic jacket. Extremely well made. I Love the color and the feel of the leather. Fit is perfect. Another great jacket from these guys. I’m a customer for life. Thank you for your comments. We are glad you like the jacket.